This genealogical sleuthing was inspired by my precocious teenage grandson. In addition to adoring him, as I do each of my grandchildren, I admire him for years spent in local theater, and because his favorite subject in school is – history. At a recent family gathering, he turned me onto the original cast album of the acclaimed Broadway show, Hamilton. I was not entirely sure I would appreciate history with a hip-hop sensibility, and my first listen through jarred a bit. However, despite the fact I knew what was going to happen… I found myself in tears at the end, and, now I’m hooked. For those unfamiliar, the story is based Ron Chernow’s 2004 hefty (730-page) biography of Alexander Hamilton. 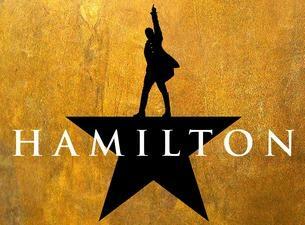 It was brilliantly adapted for the New York stage by Lin-Manuel Miranda. The lyrics that tell the story are urban, smart and poignant. This Hamilton inspired my grandson to delve into heavyweight books to learn more about the people and the period of the American Revolution. I got to thinking how I might reinforce my grandson’s intellectual curiosity. I realized that Hamilton is a New York story, – and New York is a key location in our family story. While we have no Hamilton side antecedents, the man on our ten-dollar bill married Elizabeth “Eliza” Schuyler. She was the daughter of the esteemed military and statesman, Philip Schuyler, of Albany, and Philip’s wife was Catherine Van Rensselaer, a surname which seemed familiar. Our Albany roots stretched back to the time the place was Beverwyck, a settlement of the colony of New Netherland (In 1664, the colony was ceded to the British who renamed it for the Duke of York). A great-grandmother, Anneke Jans (1605-1663), ended her days there, and she had children who married into “old Dutch” families, of which the Schuyler and Van Rensselaer are prime examples. Might I be able to connect my grandson to this episode in American history that so engaged him? With the soundtrack to Hamilton in the background, I concentrated on previously ignored ancestral siblings, until I found just what I was looking for. While our direct line to Anneke Jans comes through her daughter, Sarah (Roeloffse) Kierstede (1626-1693), whose descendants are unrelated, happily, Sarah had a sister, Katrina. Elizabeth “Eliza” Schuyler (1757-1854) + Alexander Hamilton (1755-1804). 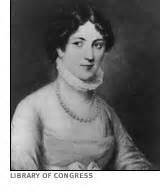 With Anneke Jans as the ancestor in common with the Schuylers, Eliza, and her cool sisters, Angelica and Peggy, are 4th cousins, and if not for a history loving grandson (with great musical taste), I would never have known. Review, HAMILTON: AN AMERICAN MUSICAL; Journal of the American Revolution. Chernow, Ron, Alexander Hamilton (Penguin Press, New York, 2004). FamilySearch (https://familysearch.org); New York Marriages, 1686-1980; Dutch Reformed Church,Albany,Albany,New York. New York State Library (http://www.nysl.nysed.gov/), Schuyler Family Collection, 1679-1823. John O. Evjen Ph. D., Scandinavian Immigrants in New York 1630-1674 (Minneapolis, MN: K. C. Holter Publishing Company, 1916). George Washington Schuyler, Colonial New York : Philip Schuyler and his family, 2 (New York, NY: Charles Scribner’s Sons, 1885). Baxter, Katherine Schuyler. A Godchild of Washington: A Picture of the Past. London – New York: F. Tennyson Neely, 1897. This entry was posted in American history, Colonial History, Family History, Genealogy, New York History, Uncategorized by poorirish. Bookmark the permalink.